12 Backpacking Hacks for Your Next Trip! 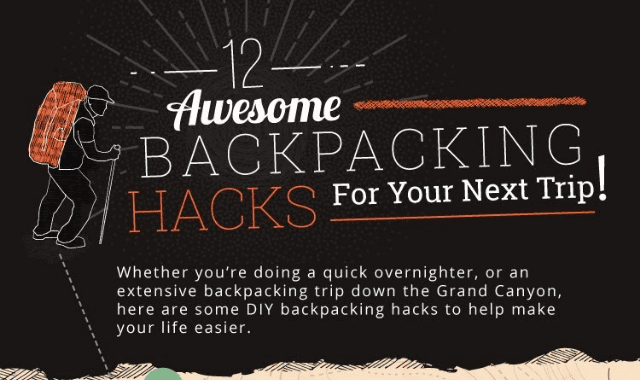 #Infographic ~ Visualistan '+g+"
Whether you're doing a quick overnighter, or an extensive backpacking trip down the Grand Canyon, here are some DIY backpacking hacks to help make your life easier. Have a look below!